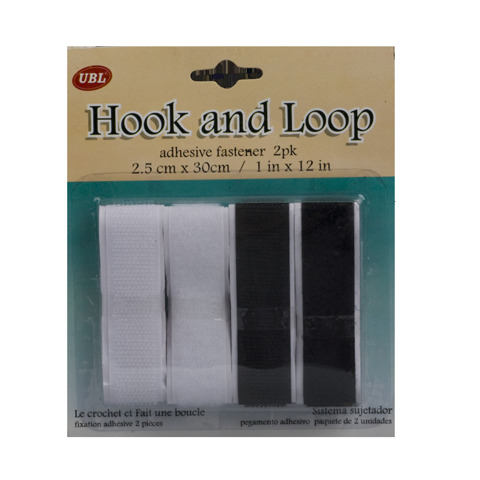 Hook & Loop Adhesive Strip 2Pk. 2.5 x 30 cm. Black and White Mixed in Each Pack. Nylon. 28G Packaging: Blister Card.